Take Action! Dare Something Worthy! Start where you are! Start now! There is a Hidden Secret inside you…waiting. Click here to take your personal Hidden Wealth Quiz. PLUS! 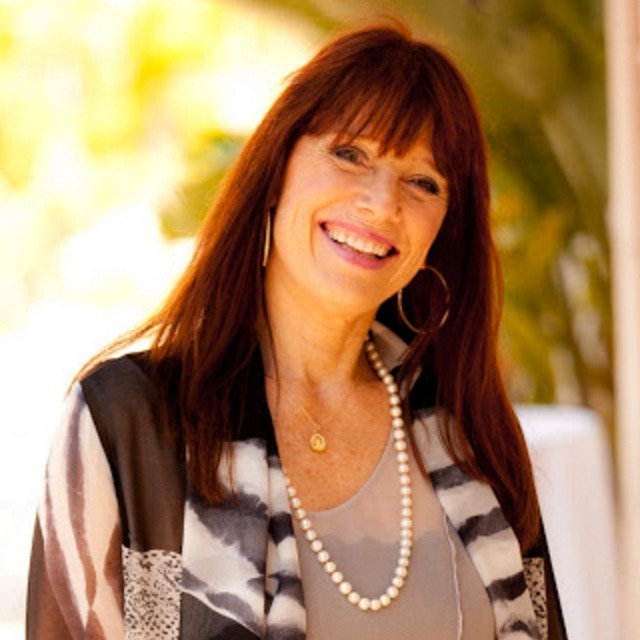 Get a FREE 10 day Vitale Life Mastery mentoring course. Click here to lean more about Zero Limits Mentoring. Click here to Discover Your Hidden Wealth! 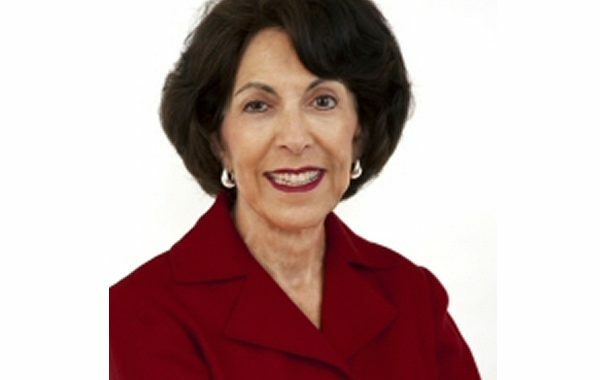 Click here to check out Vitale Life Mastery! 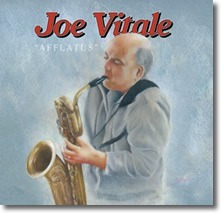 The newest creation from Dr. Joe Vitale. 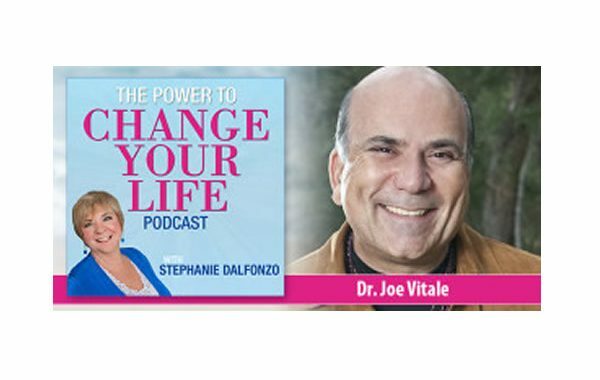 If you ever felt like the world is out to get you, or that you just can’t seem to get things right, then this book by bestselling author Dr. Joe Vitale may have reached you at just the right time. 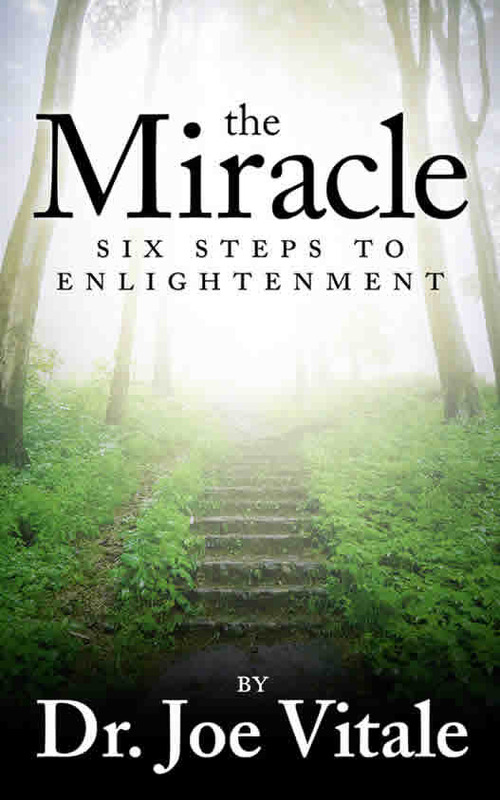 Click here to go get your copy of The Miracle: Six Ateps to Enlightenment now! 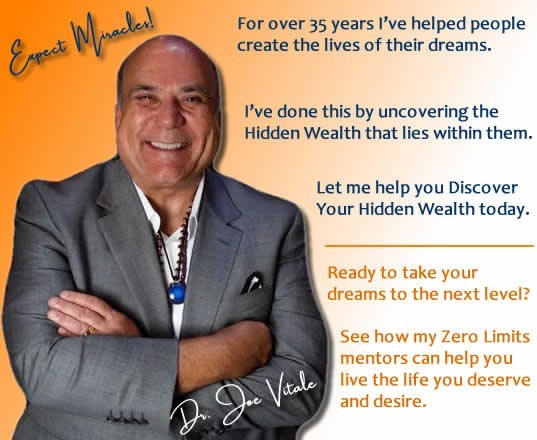 Discover Your Hidden Wealth and get a FREE 10 day mentoring session with Dr. Joe Vitale!! 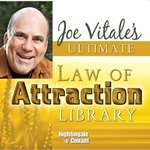 Here you can learn his original methods for using the Law of Attraction in business and life. He wrote the bestseller, The Attractor Factor: 5 Easy Steps for Creating Wealth (or anything else) from the inside out. 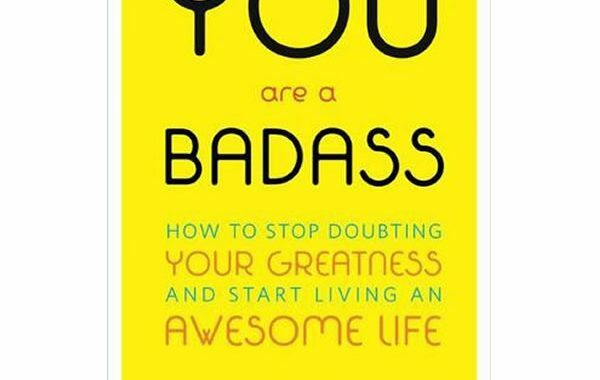 It became a #1 bestseller twice, even beating the latest Harry Potter book. He also wrote Life’s Missing Instruction Manual: The Guidebook You Should Have Been Given at Birth. It, too, became a #1 bestseller and was picked up by WalMart. 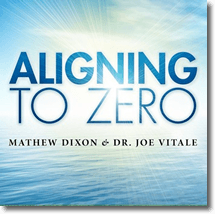 One of his most popular titles, Zero Limits: The Secret Hawaiian System for Wealth, Health, Peace, and More reflects an ancient Hawaiian practice, known as Ho’oponopono. A fan favorite, Joe has hosted multiple live events on the subject, nation-wide, and he has created quite a following on this title alone. Joe also wrote the only book on P.T. Barnum’s business secrets, There’s a Customer Born Every Minute. He’s also written many more books on marketing and business, to name a few, Hypnotic Writing and Buying Trances: A New Psychology of Sales and Marketing. His latest book release is titled, The Secret Prayer. 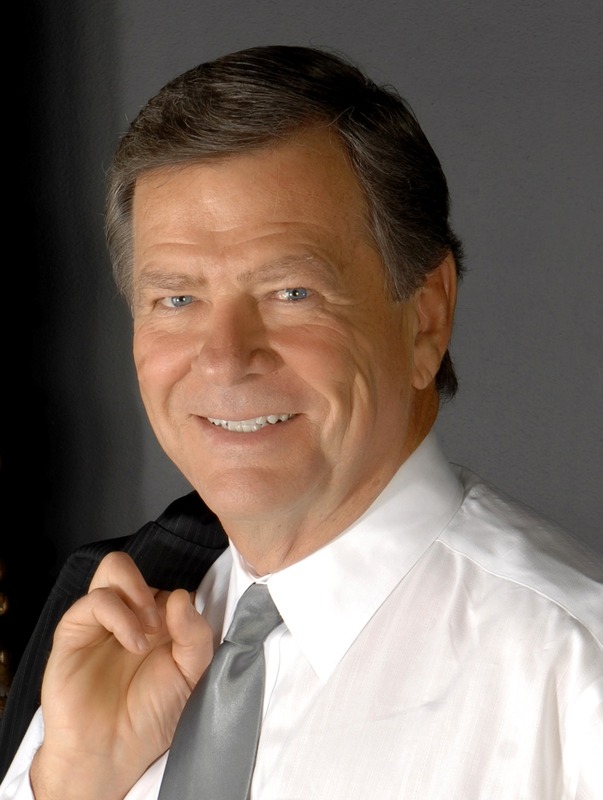 Besides all of his books, Joe also recorded the #1 bestselling Nightingale-Conant audio program, The Power of Outrageous Marketing. 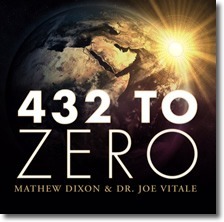 Additionally, he’s also recorded the following audio programs for Nightingale-Conant, to name a few, The Awakening Course, The Missing Secret, The Secret to Attracting Money, The Abundance Paradigm, The Ultimate Law of Attraction Library and his latest, The Zero Point. His popular title, Attract Money Now, is taking the world by storm as he is giving it away for FREE! It includes his easy7-step formula proven to manifest wealth. 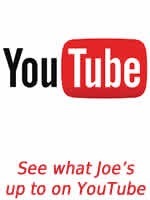 Joe’s marketing methods have made people millionaires. He’s been involved with every aspect of marketing, from traditional direct mail to publicity to infomercials. 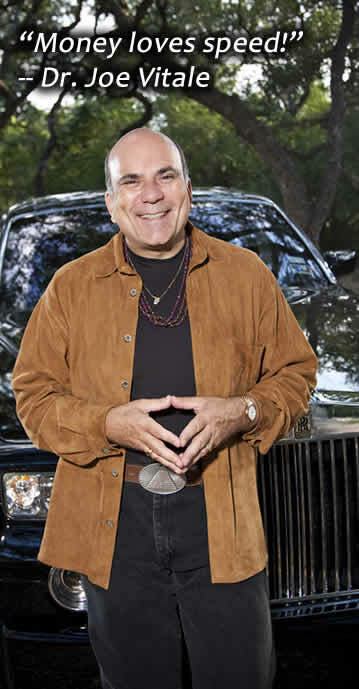 He is the president of Hypnotic Marketing, Inc. and is the world’s first hypnotic writer. He created a home-study course called Hypnotic Selling Secrets — and made $450,000 in 3 days selling it online. 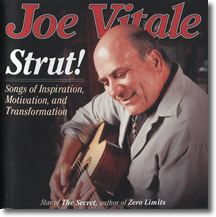 Known for his outrageous publicity stunts, Joe received local and national media attention from the likes of The New York Post for “The World’s First Canine Concert” (http://www.canineconcert.com/) in order to promote his bestselling book: There’s a Customer Born Every Minute – P.T. Barnum’s Secrets to Business Success book. 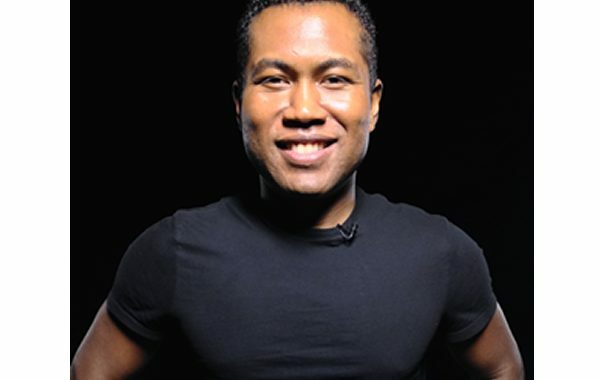 He is a sought out speaker who travels the world to such countries as Russia, Poland, Peru, Canada and Kuwait to spread his message on the law of attraction, “The Missing Secret,” ho’oponopono and much more. He was also a Keynote Speaker at the prestigious National Speakers Association Convention in San Diego, CA in July, 2007 and for Hay House “I Can Do It!” Conference in Austin, TX (2013). 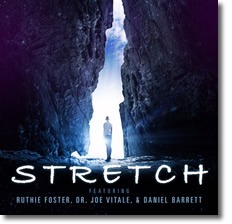 In addition to The Secret, Dr. Vitale has been featured in a total of 15 movies so far. Some of them include: Try it on Everything, The Opus, Leap!, The Meta Secret and his latest film is titled The Abundance Factor. 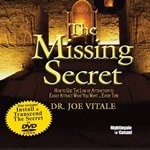 Dr. Vitale discovered that there is a “missing secret” to success. He says many people do everything right but still don’t get great results. Why not? He says there are counter-intentions you need to clear. 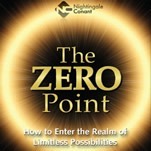 He’s created several ways to do just that, from his new Miracles Coaching® program (www.MiraclesCoaching.com), to the incredible method explained in his book, Zero Limits and the sequel, At Zero. 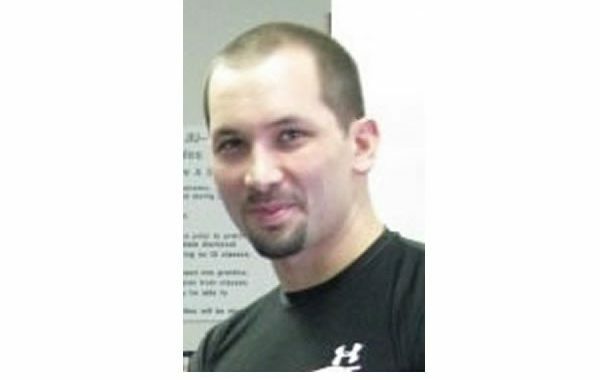 He has also created a website where people can gather and direct their positive energies to create a positive impact on the world at: www.AttractMiracles.com. 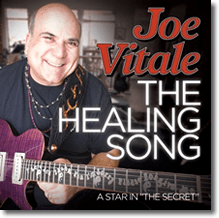 As seen in Rolling Stone magazine, on January 6, 2012, he has added yet another mega milestone to his long list of accomplishments by completing his first self-help CD for a new genre of music that he calls “Healing Music.” To date, Dr. Vitale’s complete music catalog consists of 6 singer-songwriter CDs (Strut! The Healing Song, Sun Will Rise, Reflection, One More Day and Stretch) and 9 instrumental CDs (Blue Healer, At Zero, Aligning to Zero, 432 to Zero, Invoking Divinity, Afflatus, Higher Octaves, Espresso for Your Soul and Calling the Four Angels of Ho’oponopono) with more currently in the works! 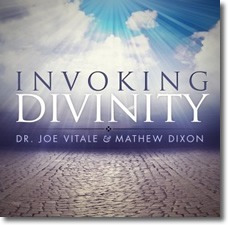 Dr. Vitale’s style is inspiring and informative. He doesn’t speak so much as inspire. His mission is to help you achieve your dreams. 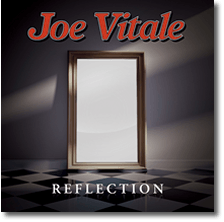 For thoughts, news, riffs and reviews by Dr. Joe Vitale (“Mr. Fire!”) about marketing, publicity, selling, hypnosis, copywriting, books, fitness, metaphysics and anything else he cares to comment on, including healing, humor and the Internet, be sure to visit his blog at: http://blog.mrfire.com/. To be right upfront – I’m living proof that you can manifest anything you want in EVERY area of your life. (I started as a homeless man, literally living out on the streets.) In fact, you’ll be surprised at just what you can accomplish IF you just take that first step forward — just like I did. Miracles Coaching® is created and designed by Mr. Fire himself and is delivered by his hand picked and personally trained Miracles Coaches. Your achievements will be custom tailored to your desires and personal version of success. Darn near every single one of them have at least one coach…usually more. Every game, movie, and concert you see is the result of professionals using coaches and taking action on their interactions. Your Miracles Coach® will provide all of the the support and accountability you need to take your dreams and desire into the next level of your reality. Coaching is the HELP you need. 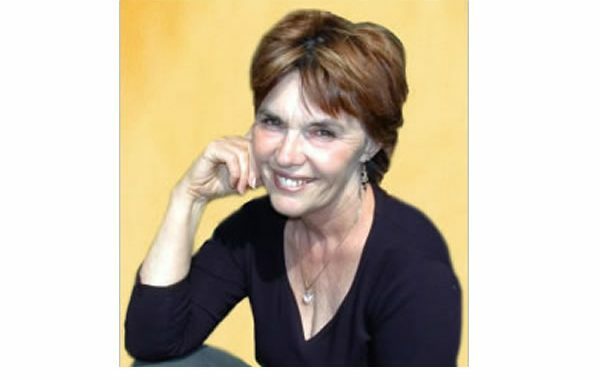 Joe has created a Miracles Coaching® program and helps people achieve their dreams by understanding the deeper aspects of the law of attraction and the law of right action. 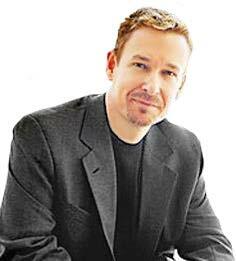 This man was once homeless but today is a bestselling author who believes in magic and miracles. 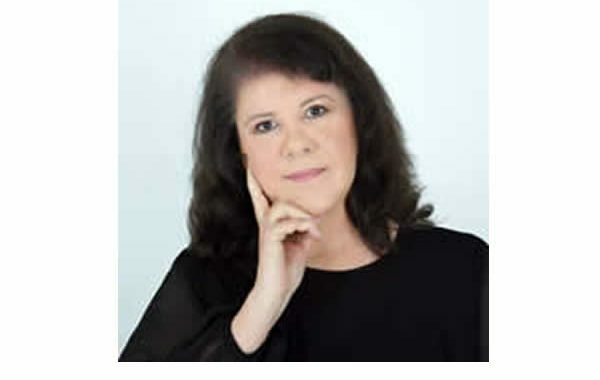 Click the button below and get A FREE 45 minute, no strings attached, Miracles Coaching® Consultation. Mr. Fire is the creator of Hypnotic Marketing. A technique he developed over years of hyper creativity after he realized he was on his own to market the books he’d work so hard to write. Let him teach you the shortcuts to becoming a marketing genius. 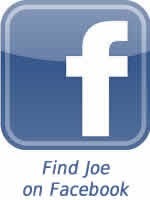 Have you ever wondered the secret to Joe’s success? He’ll tell you it’s his Hypnotic Writing skills. What is Hypnotic Writing you ask? Discover the missing secret key to your success and the reason for Joe’s right here…right now. What are the keys to hypnotic speaking? How will you capture and hold a savvy, enlightened crowd – ultimately persuading them to buy your product, service or idea? 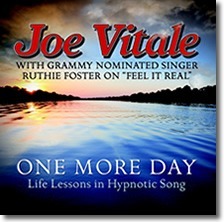 Many of these secrets of hypnotic speaking Joe has shared with NO ONE – until NOW! 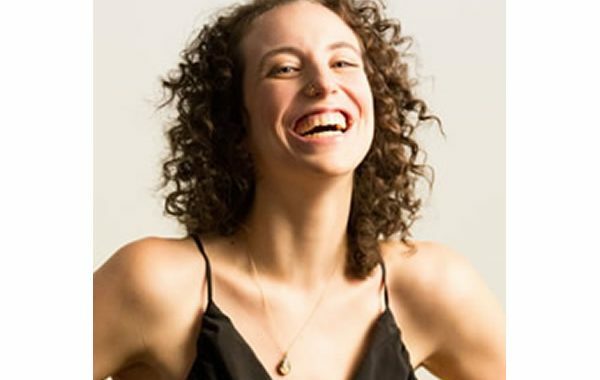 Click here to discover how to be a rock star the next time you speak! Imagine spending an entire evening dining, relaxing, and discussing your dreams and desires. The thrill of creating a strategy to build the life you deserve. 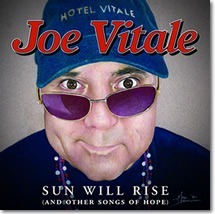 Dr. Joe Vitale Author;Creator of way too many books to list here. …and he’s just getting warmed up! 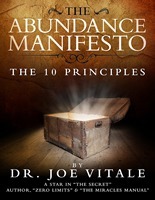 Dr. Joe Vitale is the author of way too many bestselling books to mention here. 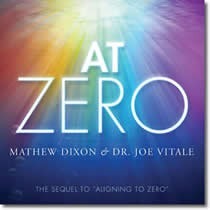 Some of them include The Attractor Factor, Life’s Missing Instruction Manual, The Key, Faith, Attract Money Now and the sequel to his bestseller, Zero Limits which was officially launched in January 2014, entitled At Zero. His latest is The Awakened Millionaire released in April of 2016. 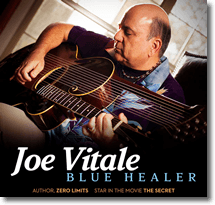 He’s also recorded many Nightingale-Conant audio programs, to name a few, The Awakening Course, The Missing Secret, The Secret to Attracting Money, The Abundance Paradigm, The Ultimate Law of Attraction Library and his latest release is called, The Zero Point. *Of course, with anything that requires individual action, your result may vary from those listed here. One of his most recent accomplishments includes being the world’s first self-help singer-songwriter as seen in 2012’s Rolling Stone Magazine®. Get Attract Money Now for FREE! 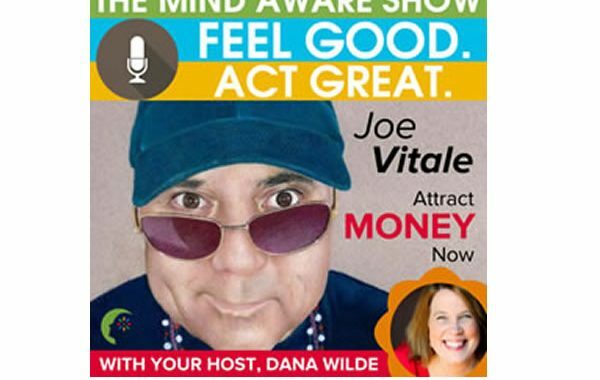 Why is Joe giving Attract Money Now away (right now, to you) for FREE? Because he wants to help. He was homeless once and lived in poverty for many years. 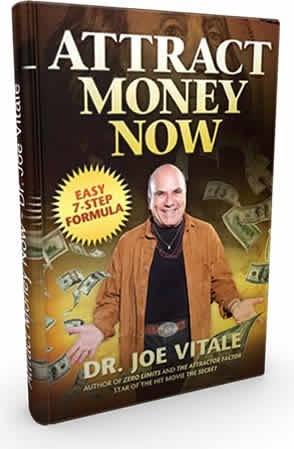 Dr. Vitale is going to give away Attract Money Now to help you and anyone else who is struggling right now. Mr. Fire has the path to freedom and will give it to you FREE. In Attract Money Now, you’ll learn… The Proven 7-step formula to attract money FAST that will work for YOU! Click the button below to get your copy now! 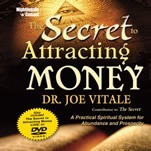 Get Attract Money Now! for FREE! We are a team of professionals that love and take pride in our work. We want to make sure your experience is, well…Awesome! Please let us know if there is any we can do for you. Support tickets: Click here to visit the Customer Care Center. The Mr. Fire support team is dedicated to making your experience as awesome as possible. 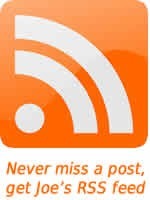 If you have any questions or issues please click the button below to let us know how we can help. Mr. Fire is a riveting speaker and will bring joy and inspiration to your next event. 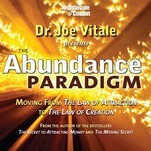 Joe has traveled the world delivering his message of abundance and inspired action. Joe loves to hear from his customers and fans. 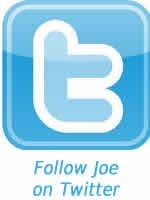 Please give us a shout and let us know how we are doing and what you’d like see more of from Joe. How can you work with Mr. Fire on creating your awesome life?